Glasgowmusic.co.uk - Review : "Marlon Williams, Cut Worms - King Tuts - 26/02/18"
"New Zealands finest Marlon Williams brings Make Way For Love to Glasgow." On the back of the release of his sophomore record ‘Make Way For Love’, New Zealander Marlon Williams returns to King Tuts to debut his new material to a Scottish audience. The record settles on a sound in which Williams’ croon swirls over Scott Walker-inspired soundscapes, and shows a marked progression from his self-titled debut, which was a ragtag collection of good ideas that was never truly comfortably in itself. Cut Worms (or Max Clarke, to his parents) opens the show. A nervous, but towering presence onstage, Clarke shares so many similarities to George Harrison, that it’s almost frightening. His vocal style and onstage mannerisms share remarkable similarities, however most importantly, Clarke oozes a similar level of talent. Performing a selection of songs from his ‘Alien Sunset’ EP, and forthcoming debut full-length, the adopted New Yorker initially struggles to drown out the more talkative members of the audience, however by the time he closes with the excellent ‘Don’t Want To Say Good-Bye’, even the most ignorant in the crowd have fallen into a hushed awe. Even as the main attraction, following a set like the one Cut Worms has just treated King Tuts to is a daunting prospect. 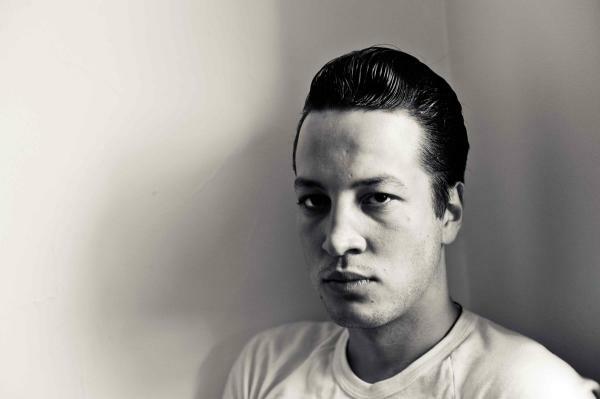 Marlon Williams elects to keep things mellow as he starts solo, showcasing his incredible falsetto, before his band join him for Come To Me, glittered in glorious harmonies. It does, however, take a while for Williams and his band to properly get going, and an instantly forgettable cover of Tom Pettys Only A Broken Heart threatens to dampen the atmosphere. It is only when Williams announces the commencement of the "morbid awfulness" (his words) section of cuts from his new record that his talent shines. A beautifully haunting Can I Call You is the first real highlight, and the frontmans heartbreak drips with every line as he pines "Things are going well... You sound happy..."
There is significantly more in attendance this evening than when the New Zealander was last on these shores in 2016 at the same venue. The fact that he is backed by a wave of critical acclaim for his new record has certainly helped, as well as his association with his now ex-girlfriend and fellow musician Aldous Harding - their breakup is undoubtedly a major factor in his records morose tone both sonically and lyrically. Williams takes to the piano and bears his soul on Beautiful Dress, channelling the spirit of Jeff Buckley, as he sings "the hard thing about love, is that it has to burn all the time". It isnt all self-loathing, woe-is-me balladry though. His band are used to their full capabilities, making a wonderful racket on Im Lost Without You as Williams and his guitarist Dave Khan exchange wailing solos. The set sounds a lot more self-assured when the band are let loose to rock out, and Williams allows himself to grab hold of the limelight. He snarls every line on the throbbing Party Boy, and thrusts and winks at the crowd on the excellent Vampire Again. After ending the main set with more gorgeous harmonies on Make Way For Love, Williams still finds time to treat the crowd to an encore consisting of two covers. Beginning with him returning to the piano for a wonderful, mood-fitting cover of Jealous Guy, before his band join him for one of the most unexpected cover versions ever heard, as they take on Olivia Newton-Johns Carried Away, creating a joyous climax as Williams comes into the crowd to bust some shapes, quickly joined by a group of young ladies who seized their opportunity to dance with the most handsome man in the room. Marlon Williams and his band well and truly conquer King Tuts this evening. The New Zealander neglects the vast majority of his debut record tonight (it is only Dark Child that is played from it), and plays his new material in its entirety, without ever threatening self-indulgence. Evidence of an artist who has found a sound that they feel comfortable with. This review has been viewed 2924 times.